In a ruling by New York’s highest judicial body, the Court of Appeals, the justices have concluded that the failure of New York City transit officials to properly research the effects of speeding on a particular Brooklyn roadway resulted in partial financial responsibility for an injury accident lying with the city. The case of Turturro v. City of New York, arose from a 2004 accident on the bustling Gerritsen Avenue in Brooklyn. A 12-year-old boy was riding his bicycle along the street when he was tossed from his bike by a driver traveling at 24 mph over the speed limit, driving 54 mph in a 30 mph zone. The boy spent the following five months in a coma, having suffered from serious brain trauma. The trial court had concluded that, while the young victim was 10% responsible, the reckless driver was 50% at fault for the boy’s injuries, and the City of New York was 40% responsible for the injuries. The trial court awarded the boy $36 million in damages, though the award was later reduced by the Appellate Division to $20 million. The City appealed the decision to New York’s high court. 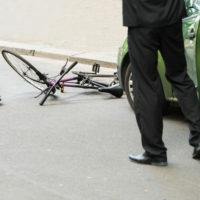 In its opinion upholding the award of damages, the Court of Appeals found that the City of New York had breached its duty by failing to conduct a study on the safety of the street. Normally, the court noted, the City would enjoy what’s known as “qualified immunity,” allowing them to avoid facing civil lawsuits for personal injury damages on issues such as road design and city planning. However, the court noted, the City lost that immunity. The court pointed out that the City had received numerous complaints about speeding and other traffic hazards along Gerritsen Avenue, but had failed to take action to try to “calm” the speed of traffic along the street. The plaintiffs presented evidence of ways in which the City could have —and should have—intervened to slow the pace of traffic on the street. The fact that city officials took no action when a reasonable city in the same position would have intervened means that they are financially liable to the accident’s victim. The court upheld the verdict against the City of New York. This case provides valuable support for a city’s duty to prevent accidents through responsible road design which can be used by future accident victims. If you’ve been injured in an accident in New York, find out if you might have a claim for money damages for your medical expenses, lost work, or pain and suffering by contacting the seasoned and experienced Manhattan personal injury attorney Leandros A. Vrionedes for a consultation, at 212-889-9362, or in Astoria at 718-777-5895.